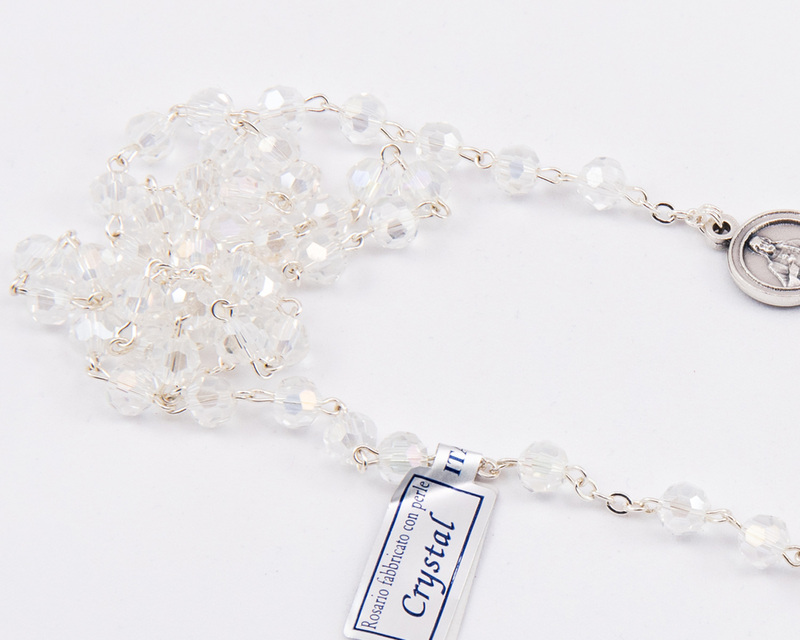 Genuine Transparent Crystal (Lead glass) Sacred Heart of Jesus Kant-Tangle Devotional Rosary, 6 mm round-shaped beads, all-metal “Sacred Heart of Jesus” Centerpiece and “Classical Design” Crucifix. 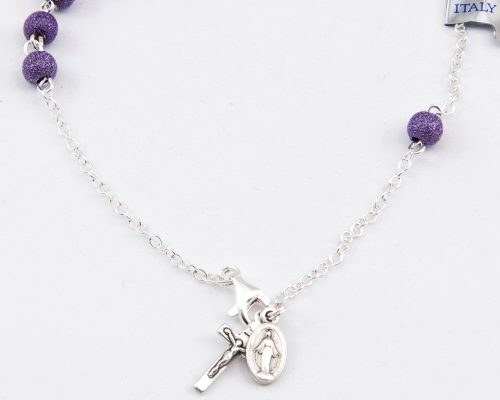 This Rosary comes in our exclusive Made-in-Italy box with Holy Image: its unique design and accurate details express the unmistakable LORETOgift style. What is a Kant-Tangle Rosary? 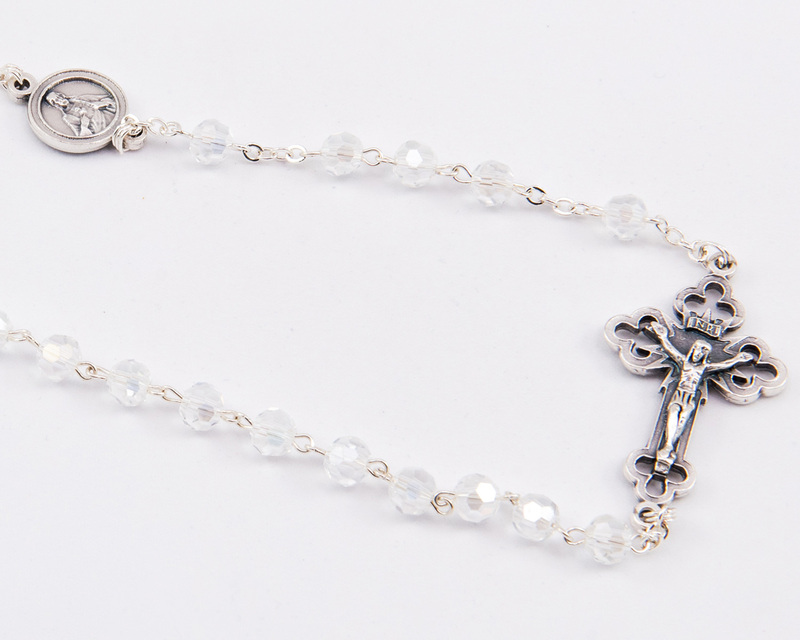 Have you ever placed a rosary in your pocket and found that it became tangled? Did it take you a long time to untangle it? In 1920, Father James McNamee of the Diocese of Oklahoma solved the problem by inventing the Kant-Tangle Rosary. The Kant-Tangle Rosary is formed by one continuous link. 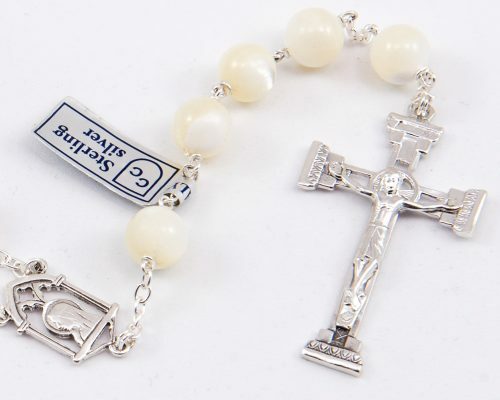 It has the same number of beads as the traditional five decade rosary. 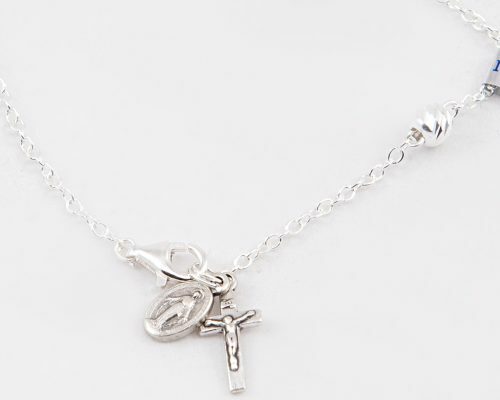 The initial pendant, the first Our Father and three Hail Mary’s, are part of the continuous link. The five decades begin after the center medal. 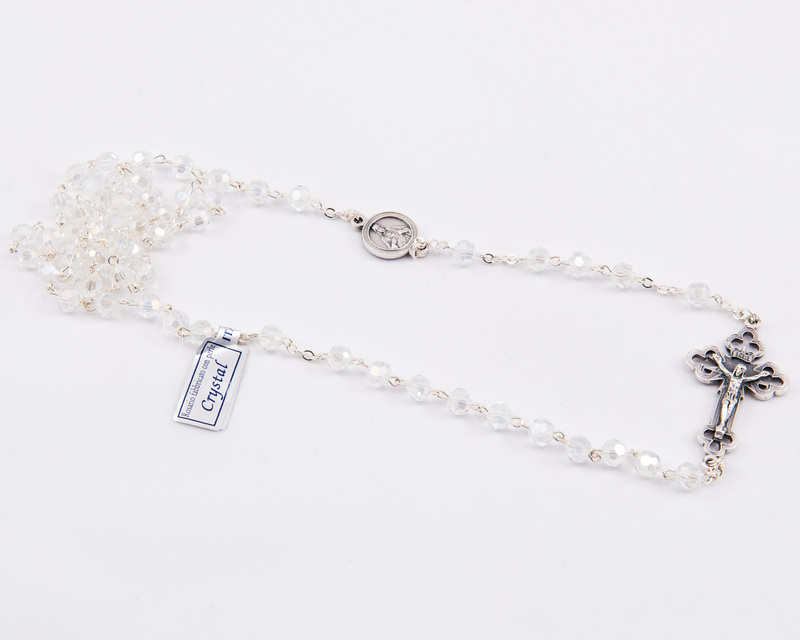 The Kant-Tangle Rosary is approved by the Catholic Church and is one of the few types of rosaries to be patented.